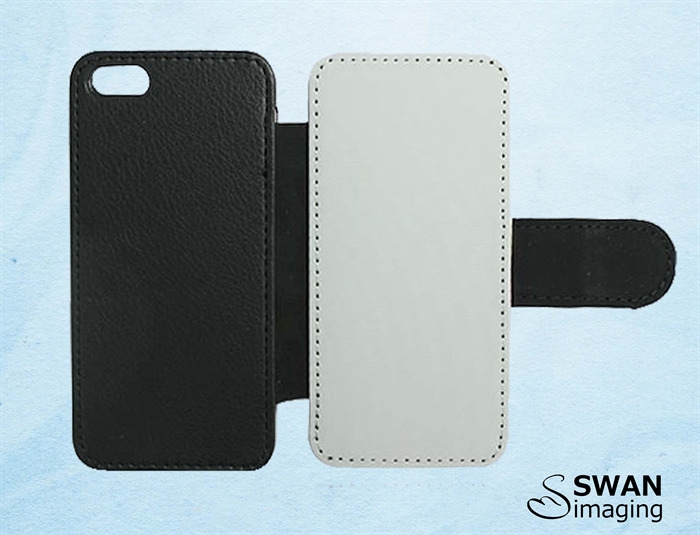 Show off your favourite photos, artwork or logo on a custom wallet / flip style phone case! 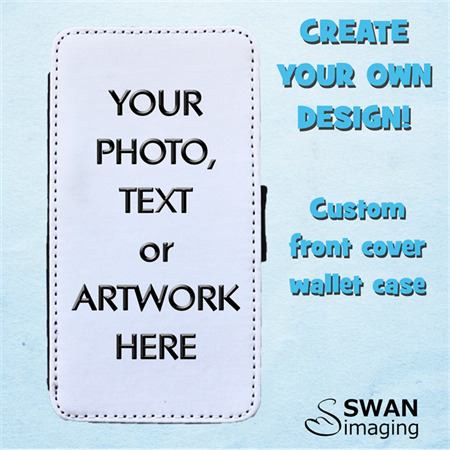 Almost anything you can think of can be sublimated onto a 'flip' wallet style case - photos of Family, Babies, Kids, Weddings, Birthdays, Holiday snaps, Pets, Logos & even artwork - imagine your little one's kindy 'masterpiece', showcased on your phone case! Available in landscape or portrait design. 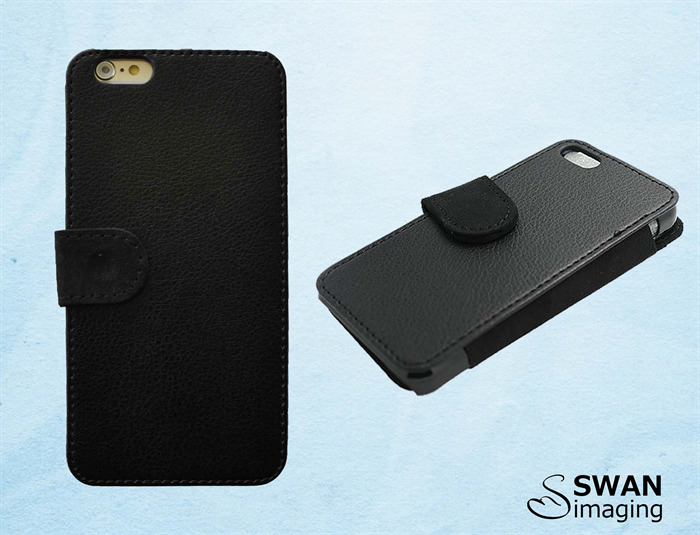 The wallet phone case is made from PU leather & polyester, with a faux suede interior. There are 3 slots for cards/cash, a built in plastic snapcase to hold your phone securely, & a magnetic clasp for case closure. The case gives you full access to all the phone buttons and ports. 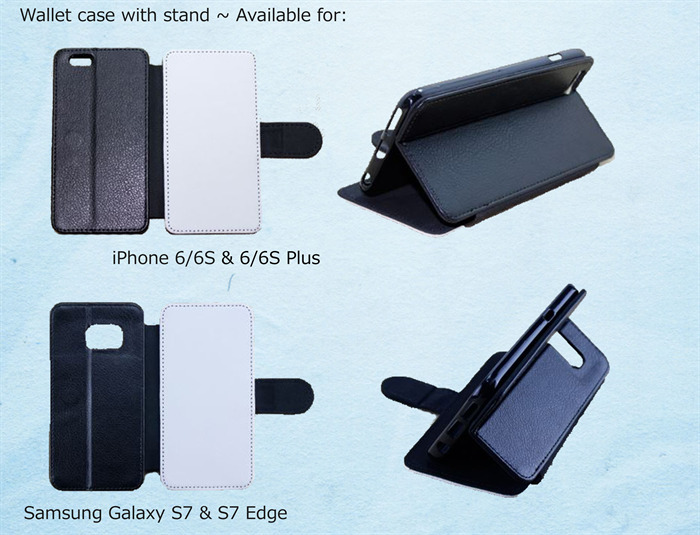 *Wallet flip case with stand - available for iPhone 6/6S, 6/6S Plus & Samsung Galaxy S7 & S7 Edge. 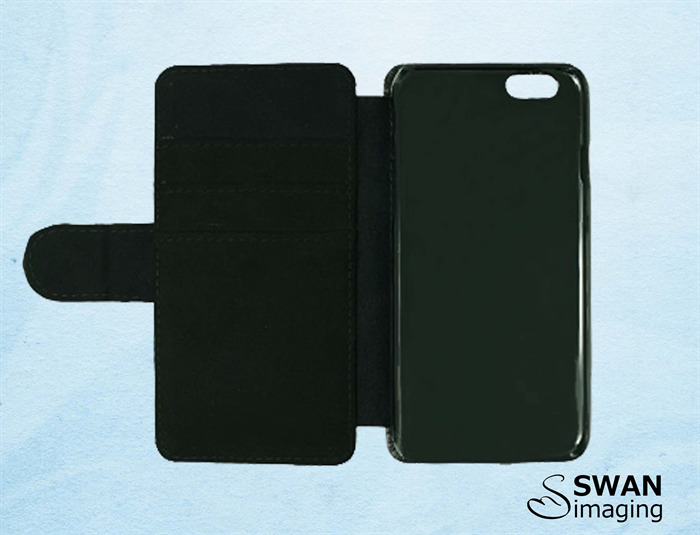 These cases have 2 slots for cards/cash, & feature an extra rear fold to enable your phone to stand on it's side. Swan Imaging uses a sublimation print process, using quality inks - your design is heat pressed, which embeds the image into the front panel of the case - ensuring a vivid, long-lasting design. Once the proof has been approved, your phone case order will be processed & printed within 1-3 Business days, ready for shipping.